Although it’s tempting to answer this question with “anything and everything”, like all animals, cats have very specific nutritional needs. And regardless of whether your cat has its eye on your baked potato or not, they are actually carnivores and so should be able to get all their daily sustenance from a meat-based diet. What nutrients do cats need? 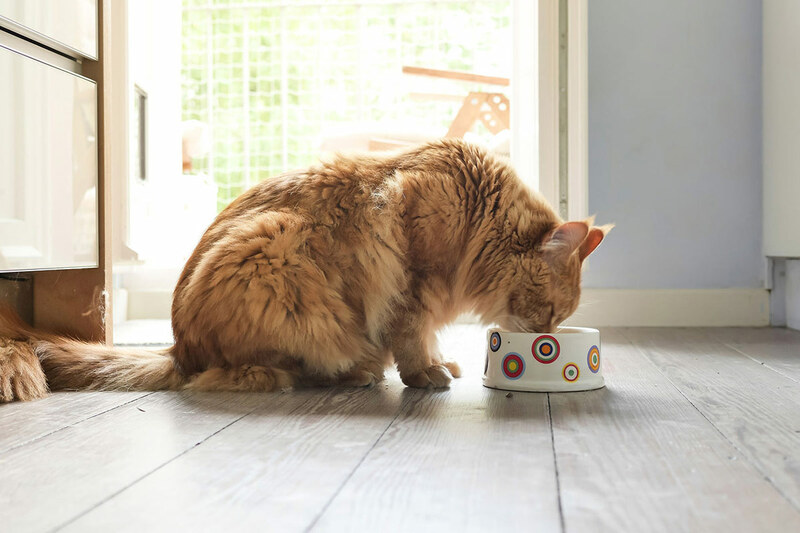 One of the major benefits of feeding our cats pre-prepared food is that a lot of their nutritional needs have already been thought about and taken care of by the experts. So, what do we need to consider when ensuring our fluffy felines are getting everything they need to stay healthy? Protein from meat – as carnivores, meat is going to make up most of cat’s diet and is particularly important for a number of reasons. Firstly, it is high in amino acids which are essential for a cat’s growth and development. And although protein is available from other sources, such as grains and vegetables, they do not carry the same amount – or type – of essential amino acids that cats need. The main amino acid that cats need is taurine. Cats who don’t have enough taurine can go blind or even die if their diet is lacking in this amino acid. So this is essential to remember – especially if you are feeding your cat non-pre-prepared food. Essential fats – fat has got a bit of a bad rep over the years. It’s easy to forget there are good fats which we all need for everyday health. Cats need these good fats in their diet too. Not only are they a concentrated source of energy, but essential fatty acids are involved in lots of functions around a cat’s body. Again, pre-prepared, cooked meat pouches and tins should have everything your cat needs in terms of nutrients. But it’s fine to include a small amount of cooked, filleted fish in your cat’s diet as well. Make sure it’s nothing too oily – small amounts of cooked tuna or cod are fine as a treat. Vitamins – when we think of getting vitamins into our diets, it’s common to think of fruit and vegetables as the main sources. But that’s because our bodies are set up to convert non-animal sources into nutrients our bodies can actually use. As carnivores, cats’ bodies work very differently and are unable to make the same conversions that humans do. They can, however, use meat as a source of vitamins and their bodies are set up to do so readily. And cleverly, cats can even make their own vitamins which helps them to grow and regulate their metabolism. Water and milk – water is essential for all forms of life and the same goes for cats. And when we say water, we mean water and not milk! Cats all have a certain level of lactose intolerance – some worse than others. They should only be given special milk designed especially for cats, but only as a treat, as it is quite calorific. Cats aren’t naturally thirsty creatures, so you’ll notice they won’t drink very much. They are also used to getting a lot of their water from wet food such as – yes, you’ve guessed it – meat! So, if they eat too much dry food (kibble) then their bodies might still not prompt them to drink water. Not enough water can lead to your cat’s urine becoming too concentrated, so it’s really important they don’t get dehydrated. Always make sure your cat has access to clean, fresh water that’s of a good quality, so they can stay healthy. As we mentioned, just because a cat doesn’t need any carbohydrates, doesn’t mean they won’t eat any! In fact, it’s quite common to see cats eyeing up our dinners, our children’s dinners and anything else that looks suspiciously delicious... And when you see those big round eyes peering out from inside a ball of warm, soft fluff, giving them a little treat is simply irresistible! The main thing to remember with carbohydrates is that they get broken down into sugars, so too much is not good for them. What treats can I give my cat? Meat is always a great treat and there will be lots of types that your cat will enjoy. The thing to watch out for here is to make sure you don’t give them anything that isn’t too salty like bacon, nothing with bones in, nothing that isn’t fresh and nothing too oily. A little bit of leftover chicken from the Sunday roast or some cooked salmon will have them purring away in no time. Just make sure you keep an eye on their weight to maintain their health and wellbeing. Regular vet checks will help you keep an eye on this. 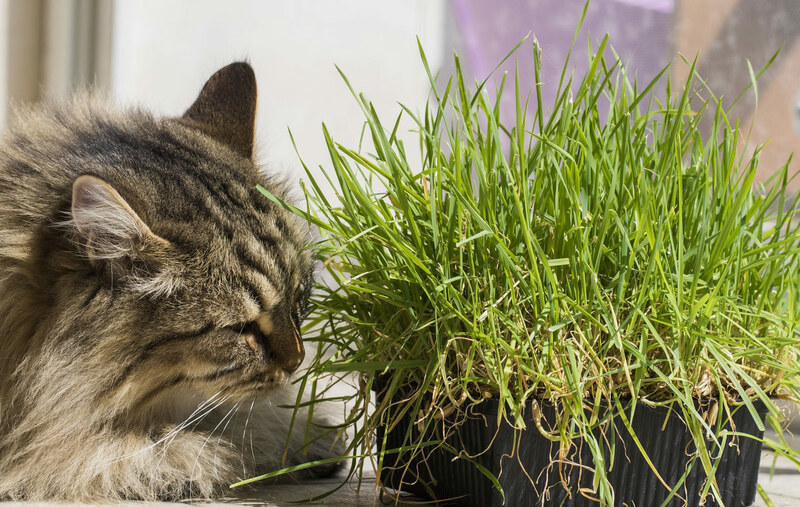 Even though some cats eat grass, they can’t actually digest it. They do eat it for a good reason though. Many cats, like dogs, nibble on grass because they know it will make them sick. So, if they have eaten something that they don’t want in their bodies anymore or want to get rid of a hairball, they will purposely eat grass to help purge their stomachs. And lastly, it’s important to remember that some cats may have specific needs – especially those who have conditions or who are disabled, so keep in regular contact with your vet for advice on any issues you need to look out for. And that’s our round up of cat nutrition in a nutshell! As always, the Me and My Pets team are always ready to help you take care of your furry companions with a wide range of food and drink bowls and placemats. You can browse the full range in our Cat Bowls and Feeding section. Any questions? Find us on Facebook and Instagram @meandmypetsofficial.